Also built in Rashid, measuring impressive 37 m in length, Snefro Target is one of the luxury class boats within the fleet but the only one holding Area 1 & Area 2 license covering the whole Red Sea on her itineraries. Like with her sister vessel Snefro Love, there is 7 twin berth cabin on lower deck, 2 double bed cabins on upper deck and a master suite on the main deck to comfortably accommodate 20 guests. All cabins are air-conditioned, with en-suite bathrooms, electronic safety deposit boxes, central music system and an internal telephone system. In addition, all double bed cabins are equipped with a mini bar. The dining and leisure areas are very spacious, air-conditioned and loaded with modern entertainment equipment (Plasma TV/CD/MP3/DVD and a central music system). The spacious salon on main deck invites to relax or choose the lounge on the upper deck. Chefs are excellent and prepare delicious, mouth-watering meals: if you have special requests, such as a vegetarian diet, just let us know. Daily meals are served in a buffet style offering Egyptian and International cuisine. Snacks, fruit, water, coffee, tea and soft drinks are offered throughout the day. To make your relaxation time enjoyable, there are 3 impressive sun decks on upper and high deck, divided in shaded and sunny areas. Boat safety equipment includes life jackets, life rafts (2 x 25 person), fire extinguishers, smoke detectors & fire alarm system, first aid kit & oxygen (demand & free flow). Navigation and safety equipment includes GPS, chart plotter, radar, echo sounder, EPRIB, HF Radio (long distance) and VHF radio, all safety equipment meets international standards. 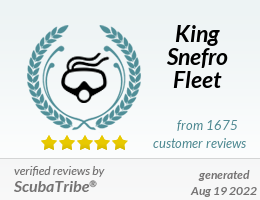 Snefro Target is holding ISO Certification for Recreational Diving Service Providers (EUF: S 000061 till 30.06.2016), is member of Chamber of Diving and Watersports (CDWS: SSSB 0043 S) and departs from Sharm El Sheikh (New Marina, El Wataneya) on all Mini Safaris, Sinai Classic, Sinai Wreck & Reef, Deep North Marine Park and Sharm-Brothers routes. All Southern routes ex Hurghada or Port Ghalib are possible on request. As Snefro Target is the identical sister vessel of Snefro Love, it is possible to interchange these boats on some of the itineraries. Engine 2 x 960 HP G.M.